Can you say Jumbo? That's the best description you can give to the Offshore Bluefin Tuna fishing right now. With many Tuna averaging 35 to 50 pounds, the loss ratio rises immensely when the 70 to 124 pounders move in. The catch counts do not look all that spectacular with 20 to 40 Bluefin being caught on most 1.5 day trips. However, the loss ratio is extreme, as most anglers are not prepared for the big boys. Everyone has to resist the urge to drop down in line size when not getting bit by picky Tuna, yet as soon as you do a 75 pounder grabs your 25 to 30 pound outfit and turns your reel into a screaming Meany! There are Bluefin in one day range, although the counts for these trips are mostly disappointing, under 20 in most cases, down to under 10 in many cases. 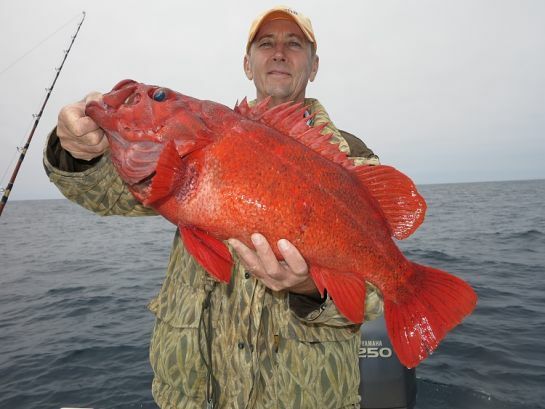 The best fishing can be found on 2.5 to 3.5 day trips in the area 160 to 200 miles south of Point Loma. Unfortunately if you have not made a reservation to go this Holiday weekend, you are SOL as all boats are sold out. The bite continued to be excellent for Yellowtail with many Kelp Paddies holding fish. The size of the Yellowtail remained predominately rats in the 5 to 10 pound range, with an occasional 20 pounder mixed in. What looked to be an ever improving bite on the Dorado, quickly succumbed to the falling water temps and the windy conditions? Given this scenario the hoped for late season run of Yellowfin Tuna is in serious trouble, although things could change oh so quickly, all we need is a good push from a southern tropical storm? This last one didn't get the job done, although there is another right behind it. More sightings of Marlin lately has provided some exciting moments for those trolling for Tuna. The Coronado Islands are still holding a fair amount of Yellowtail for those few that make the attempt to fish for them. Over the weekend and early in the week the water had rolled, however, things improved by mid-week with some Yellowtail counts in the 30's. The ¾ day boats out of San Diego that have ventured offshore, have found mixed results for Bluefin, Yellowtail and Dorado. Winners from the Make a Wish Tournament in San Diego over the weekend: The Boat Reel EZE won high boat and grand prize, catching 9 Bluefin Tuna, several Dorado and Yellowtail. Pictures courtesy of Harry Okuda. The Channel Islands continues to produce a smattering of White Seabass to go with excellent Halibut fishing and good Rockfishing. The Mirage managed to catch 16 White Seabass on their midweek trip. San Clemente Island has yielded an occasional Yellowtail,the Thunderbird caught 34 Yellowtail Saturday, while the Freedom caught six on their Sunday trip, with lots of Rockfish, Whitefish and Sheephead to go with some Calico Bass. Not much in the way of Yellowtail are being caught at Catalina a few here and there on any given day, filled in with Calico Bass, Sheephead, Whitefish and Rockfish. Private boater Steve Ross fished in Ensenada on Tuesday, 08-27-13 catching four nice Yellowtail and a couple of Barracuda at the Island, while a few Bluefin Tuna and Dorado are being caught offshore. Locally the Sand Bass and Calico Bass fishing continues to be real slow for this time of year, and the Barracuda bite has completely died! 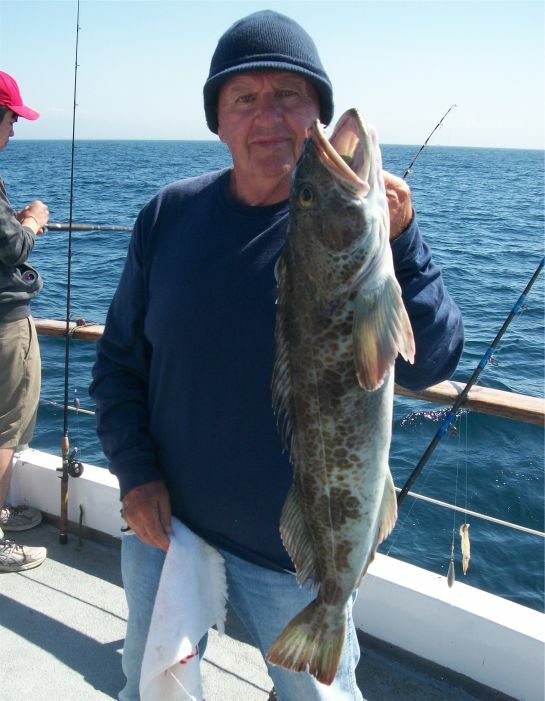 Sadly most boats have returned to Sculpin and Rockcod fishing! Day time Bass fishing is at an all-time summer low, yet Twilight fishing for Sand Bass is a different story. The Freelance fishing Thursday evening, 08-29-13 caught 46 Sand Bass and 2 Sculpin. The Thunderbird gets the job done on the Yellowtail on Saturday, 08-24-13, catching 34. The Freedom is still finding a few Yellowtail at the Island, although they have been heading to the Cortez bank lately. The weather forecast for Saturday, Sunday and Labor Day looks to be excellent and very fishable. Always check the latest forecast before leaving the dock. The weather was up most of the weekend and all during the week. Trips to the Cortez Bank, made for a wild ride and slower fishing. The water temps have been falling with all the wind Offshore and the main schools of Bluefin Tuna have fanned out over a large area, moving southwest, out of range for most private boaters and requiring at least a 1.5 day trip to get there. 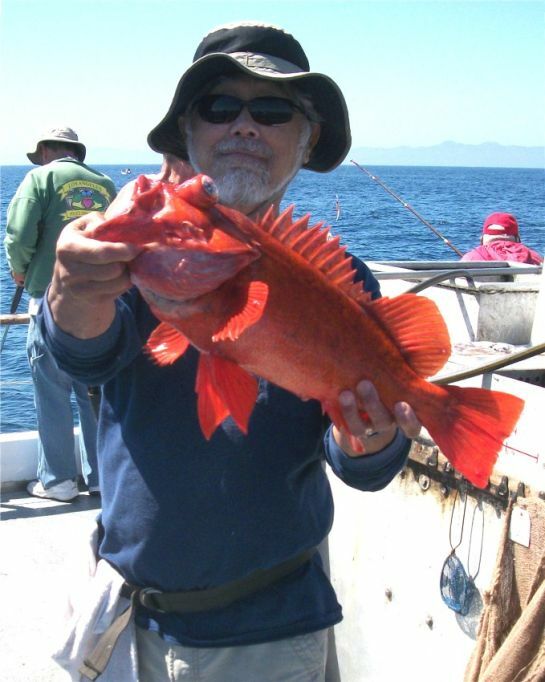 The best fishing was even outside the 1.5 day range some 160 to 180 miles southwest of Point Loma. Consequently the only boats fishing this far south were three day trips or longer? The bite continued to be excellent for Yellowtail with many Kelp Paddies holding fish. The size of the Yellowtail remained predominately rats in the 5 to 10 pound range, with an occasional 20 pounder mixed in. What looked to be an ever improving bite on the Dorado, quickly succumbed to the falling water temps and the windy conditions? Given this scenario the hoped for late season run of Yellowfin Tuna is in serious trouble, although things could change oh so quickly, all we need is a good push from a southern tropical storm? The Tuna pens are now only wishful thinking, a disappointing year for sure. With the falling water temps providing more ideal conditions for a possible Albacore showing, this remains a mystery for 2013. Any decent fishing for Longfins remains far to the north, as my friend Jeff made the long run up north to Monterey and caught fourteen 20-30 pound Albacore over the weekend. The Coronado Islands are still holding a fair amount of Yellowtail for those few that make the attempt to fish for them. With few boats around the seals become a massive problem. Private boater Rob went fishing with his dad and cousin on Sunday, 08-18-13. They managed to catch four Yellowtail to 30 pounds in only a half day of fishing. The ¾ day boats out of San Diego have ventured offshore, however the weather has made these attempts futile in most cases. While a lot of boats both one day and 1.5 day trips have scratched up 5 to 30 Bluefin Tuna during the week, the Pacific Voyager on a three day trip hit the jackpot catching 237 Bluefin Tuna, 5 Yellowfin Tuna, 214 Yellowtail and 7 Dorado. The Channel Islands continues to produce a smattering of White Seabass to go with excellent Halibut fishing and good Rockfishing. 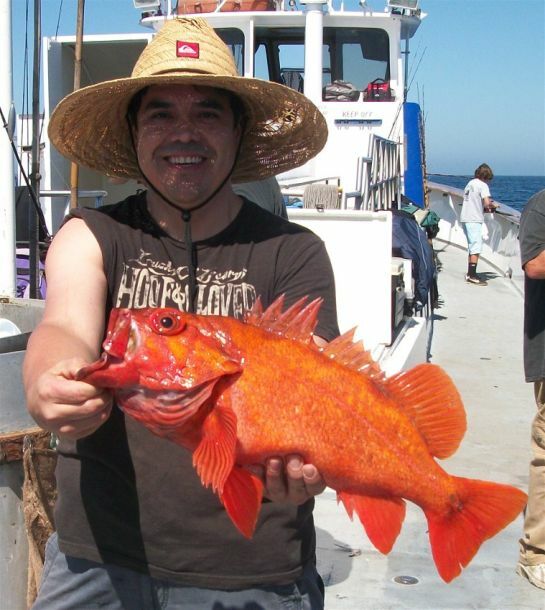 San Clemente Island has been very quiet with an occasional Yellowtail and White Seabass being caught with lots of Rockfish, Whitefish and Sheephead to go with the local Calico Bass fishery which has not seen it's normal quality this year? A couple of Yellowtail are being caught at Catalina on any given day, supplemented with Calico Bass, Sheephead, Whitefish and Rockfish. Very quiet in Ensenada with some Yellowtail at the Island, with a few Bluefin Tuna and Dorado bites offshore. Locally the Sand Bass and Calico Bass fishing slowed to a crawl, as did the Barracuda bite! When unavailable most boats have returned to Sculpin and Rockcod fishing! I can't remember such continued poor local fishing for these species for such a sustained period of time? Day time Bass fishing is at an all-time summer low, yet Twilight fishing for Sand Bass is a different story. The Enterprise fishing Sunday evening, 08-18-13 caught over 100 Sand Bass and 26 Sculpin. The Freedom is still finding a few White Seabass and Yellowtail at the Island, although they have been heading to the Cortez bank lately. Need to get me one of these T-shirts-Too Cool! Ouch, that must be a pain in the rear? The weather forecast for Saturday and Sunday looks to be improved from recent days and very fishable. Always check the latest forecast before leaving the dock. The exotics are moving up the line, as more and more Dorado are being caught. The Thunderbird ran a 1.5 day trip out of Newport Beach, fishing Thursday and caught 98 Dorado, 84 Yellowtail and two Yellowfin Tuna to 50 pounds. They had been fishing the Cortez Bank, however, the Kelp Paddy hopping just became too good. There are still Bluefin Tuna being caught at the Cortez Bank, as the Freedom found 24 willing biters on their 1.5 day trip that returned this morning. It was an odd weekend fishing Offshore as some boats caught limits of Bluefin Tuna while others struggled to put together a good day. The weather kicked up on Friday and remained breezy through Tuesday. Then on Wednesday things seemed to settle down and the bite was on again. 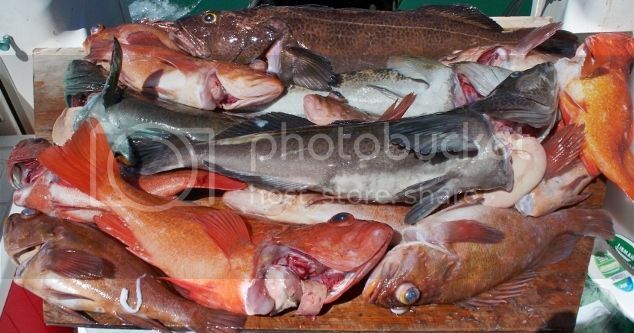 Many boats began their days looking for kelp paddies, and schools of hungry Tuna. 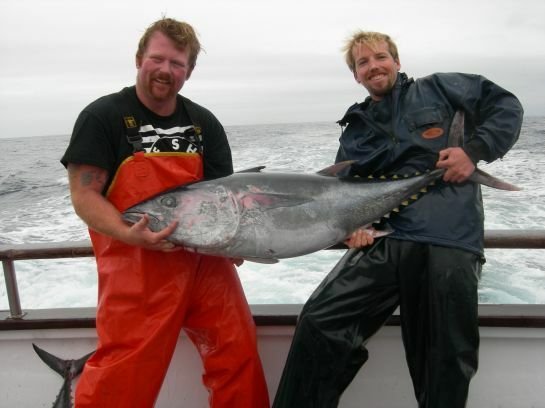 There were more big Bluefin Tuna being caught this week, 70's, 80's and over 100 pounds. So bring one rig with at least 40 pound test line. The bite continued to be excellent for Yellowtail with many Kelp Paddies holding fish. 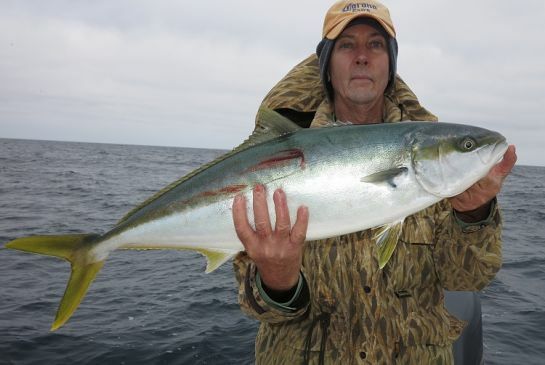 The size of the Yellowtail improved as well with a good mix of bigger fish in with the rats. I fished Sunday on the private boat Scorpio, with owners Tony and Alex. We found four Kelp Paddies during the entire day out at the Hidden Bank with three of them holding fish. We ended the day with two nice Dorado 10 to 12 pounds, and limits of Yellowtail to eight pounds. The weather has continued to hamper the private boater opportunities, especially for Tuna. The pens have not been anywhere near as productive as in the last few, and open water has not produced at all. A few Bluefin are being caught off a Kelp Paddy. No more Albacore wandered into the southern California arena this week, as the bite is far north of us so far this season? 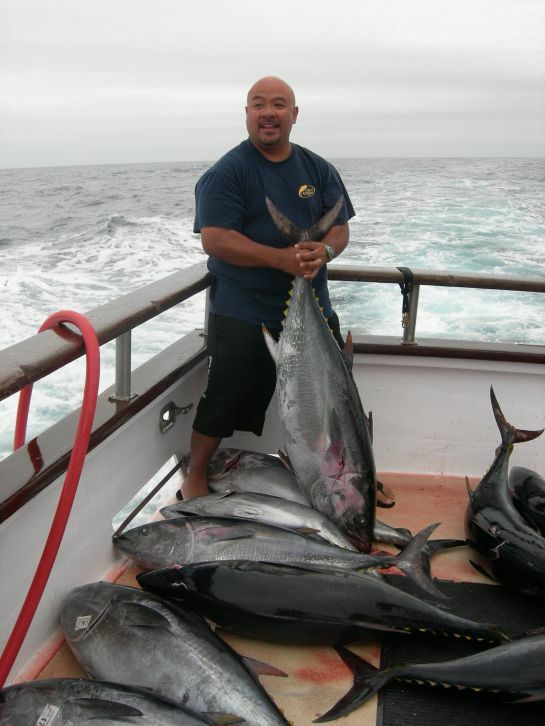 Private boater Jeff made the long run up north to Monterey and caught eight 20-30 pound Albacore over the weekend. 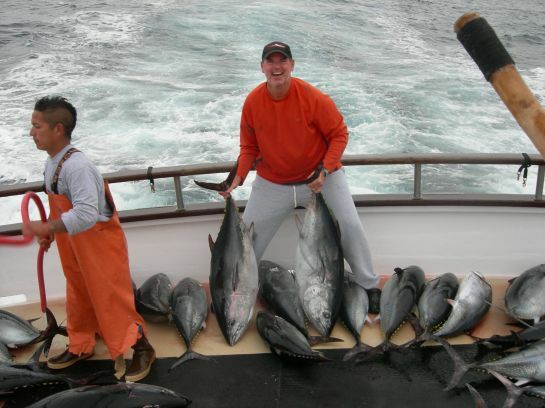 The ¾ day San Diego boats have ventured offshore and also found rewarding results off the Paddies at times, including an occasional Bluefin Tuna, Yellowtail and Dorado. The San Diego caught 50 Yellowtail and 12 Dorado on their Thursday, 08-15-13 trip. The Channel Islands long season of catching White Seabass had shut down the prior week, yet there was a small comeback this week, with scattered counts of White Seabass. 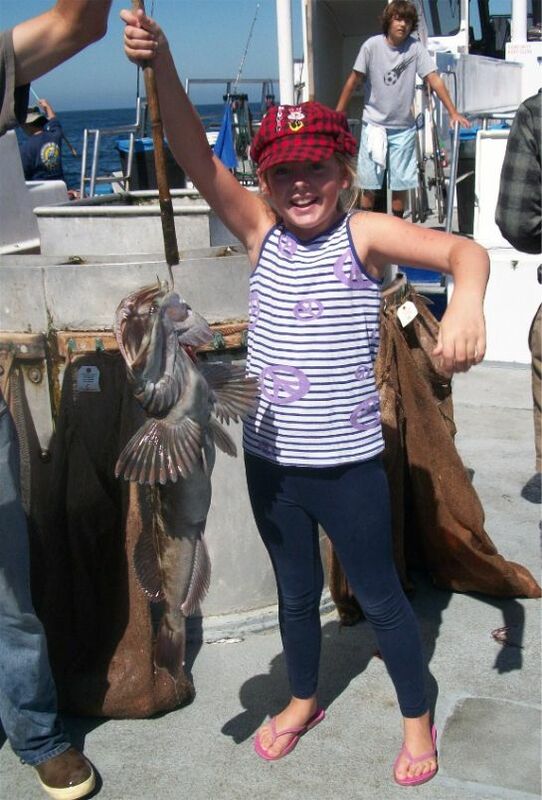 The Halibut fishing remains red hot, with plenty of quality fish to 50 pounds being caught. 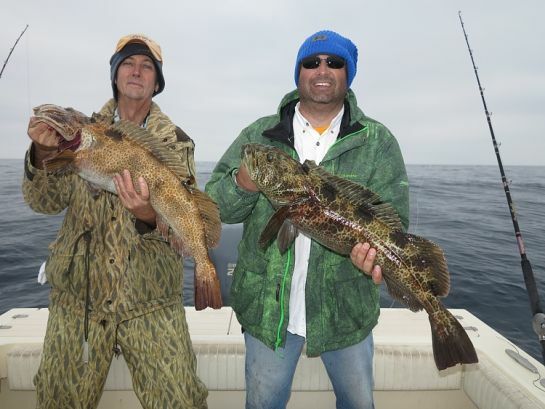 San Clemente Island is still yielding a few Yellowtail and occasional White Seabass. 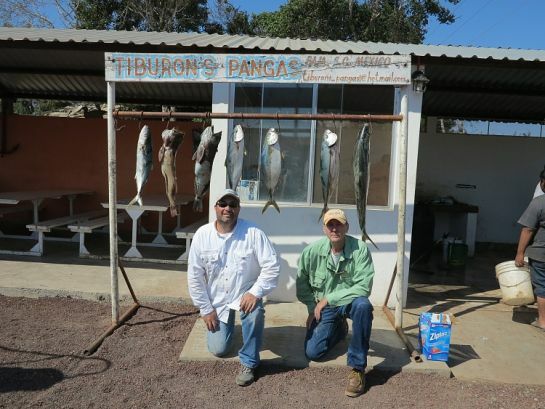 Locally the Sand Bass and Calico Bass fishing improved somewhat, as did the Barracuda bite! Counts of Barracuda increased into the sixty's on Thursday. When unavailable most boats have returned to Sculpin and Rockcod fishing! Twilight fishing for Bass is decent on selected nights, although when the Bass are not biting they target Sculpin. There are still some Yellowtail on the chew at the Coronado Islands. Very quiet in Ensenada with mostly Yellowtail and Dorado bites offshore. The weather forecast for Saturday looks to be breezy offshore, while Sunday will be just a little bit worse. Always on the weekend Mother wind, please give us a break? Always check the latest forecast before leaving the dock. There was some tough fishing Offshore for the Bluefin Tuna over the weekend, as the weather kicked up. Then on Monday things seemed to settle down and the bite was on again. When time permitted to look for kelp paddies, there continued to be excellent Yellowtail fishing. Although disappointing, there were many rats back in the counts. Both the one day and 1.5 day trips and longer did well on both species. The weather came up on Wednesday and continued through Thursday, however there were still some good scores to go around. Kelp Paddy hopping became more difficult and this shut down the private boater opportunities. 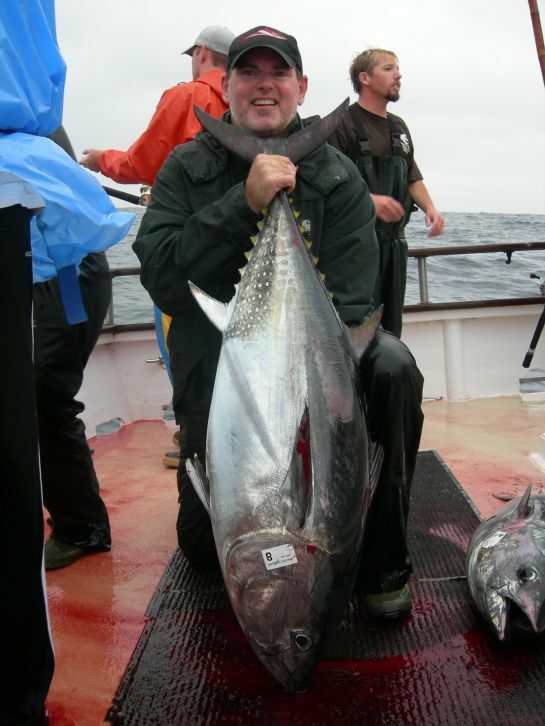 They started catch lots of 20-30 pound Albacore up north in Monterey. Scratch fishing for a few Dorado is the norm each day. That warmer water expected in August, has not yet arrived. With the Tuna pens once again producing, private boaters jumped on the short window of opportunity and got into some decent fishing. The ¾ day San Diego boats have ventured offshore and also found rewarding results off the Paddies at times, including Bluefin Tuna, Yellowtail and Dorado. On their 1.5 day trip that returned Thursday morning, the Thunderbird ended Wednesday fishing with 143 Yellowtail, 28 Bluefin Tuna and 110 large Bonito. The Channel Islands long season of catching White Seabass seems to have come to an end, with only one or two being caught lately. Even some of the best Halibut fishing in years dropped back to a few per day. 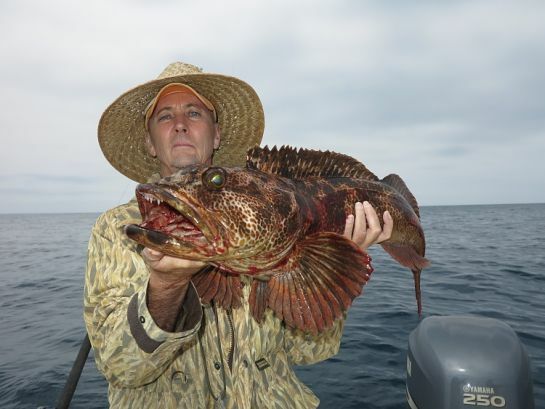 San Clemente Island is still yielding a few Yellowtail and occasional White Seabass, however, this bite has dried up for the most part. A couple of Yellowtail are being caught at Catalina per trip, with Calico Bass and a few Barracuda scattered in. Locally the Sand Bass and Calico Bass fishing has slowed to a crawl, same with the Barracuda bite! 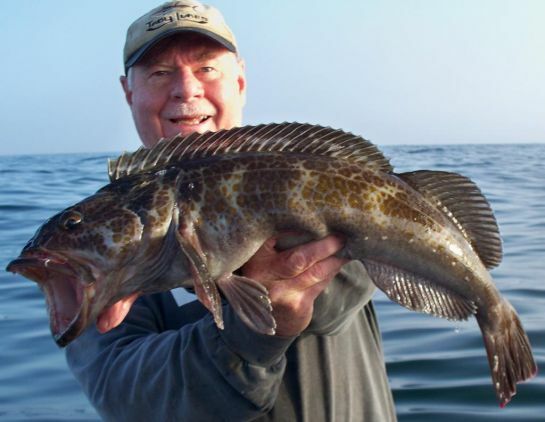 Sadly most boats have returned to Sculpin and Rockcod fishing, yikes it's too early for that! Twilight fishing for Bass is decent on selected nights, although when the Bass are not biting they target Sculpin. Several private boaters found the Yellowtail on the chew at the Coronado Islands over the weekend. They found Tails averaging over 20 pounds, this is a real plus. Very quiet in Ensenada with some decent Bluefin Tuna bites offshore. WeatherThe weather forecast for Saturday looks to be a decent both inshore and offshore, while Sunday will be just a little bit breezier. Always check the latest forecast before leaving the dock. The Bluefin Tuna bite over the weekend Offshore continued to be excellent, Yellowtail fishing limits were generally reached whenever they had time to fish them. The 1.5 day trips or longer had the best opportunity to catch both species in quantities. Early in the week the one day trips proved to be outstanding for Bluefin Tuna, with little time to spend searching for Yellowtail on the Kelp Paddies. By mid-week the one day trips started to fizzle as the distance of 80 to 95 miles to reach the main schools of Tuna was taxing, and allowed only the morning to find the right school that wanted to bite. I fished a one day trip on the Islander on Wednesday, 07-31-13 and we managed only 28 Bluefin Tuna, while several one day boats returned with no Tuna and only a handful of Yellowtail. At noon we were still 80 miles out and after stopping on some kelp paddies on the way home, didn't dock until 9pm, a full 24 hour trip, as we left at 9pm the night before. Meanwhile the 1.5 day boats fishing the same area, or only a few miles further south managed to catch over 100 Bluefin and lots of Yellowtail. A few Dorado are being caught by most boats each day, with warmer waters expected in August, these counts should increase. Private boaters, when the weather permits have been finding both Yellowtail and Dorado on Kelp Paddies closer to shore recently. 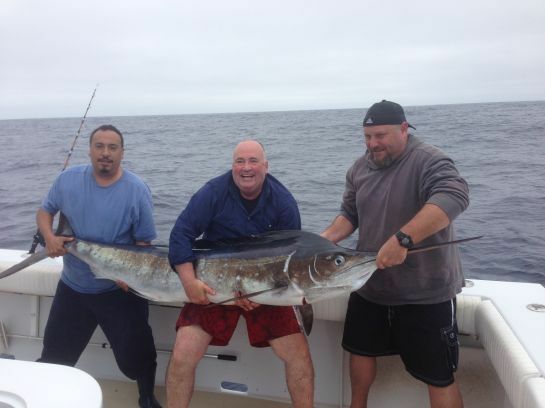 The ¾ day San Diego boats have ventured offshore and also found rewarding results off the Paddies. The Channel Islands is having one long White Seabass season and some of the best Halibut fishing in years. The quantities and size are unreal. The Mirage caught 23 White Seabass and 75 Halibut on their recent 2 day midweek trip. 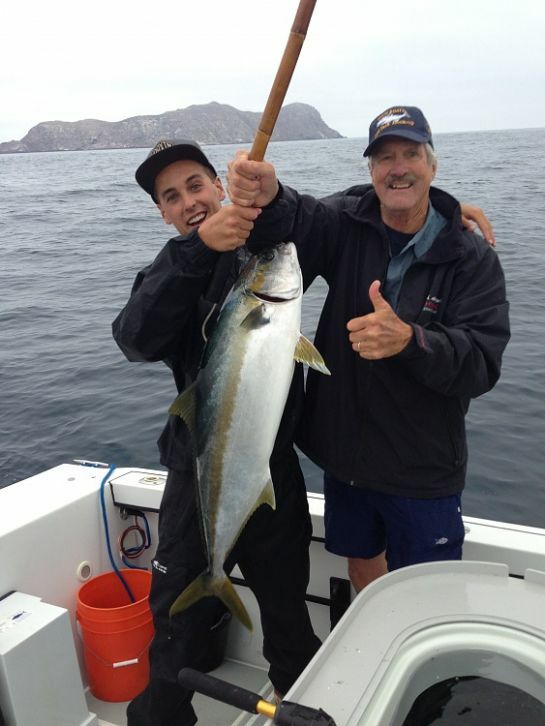 San Clemente Island is still yielding some decent counts on the Yellowtail, with fish to 35+ pounds. The Freedom caught 14 Yellowtail to 35 pounds and one White Seabass on their Thursday, 08-01-13 trip. A couple of Yellowtail are being caught at Catalina per trip, with Calico Bass and some decent Barracuda fishing. Locally the Sand Bass and Calico Bass fishing has really slowed down. The Barracuda bite is on a day by day basis, with good fishing off and on? Sand Bass fishing on the Twilight trips has also slowed for the most part. Both the Coronado Islands and Ensenada has for the most part remained inactive. The close proximity to the tuna pens has provided Ensenada with some decent Bluefin Tuna bites offshore. Coastal Tanker White Seabass can now be considered dead? The Freedom is still finding both White Seabass and Yellowtail at the Island, catching six White Seabass and 2 Yellowtail on their Saturday trip, 07-27-13. The weather forecast for Saturday looks to be a decent both inshore and offshore, while Sunday will be breezy. Always check the latest forecast before leaving the dock.